It's high tomato season at our house, and in addition to the plethora of green tomatoes in our little garden, we have some ripe ones as well. And our basil is finally looking healthy. What better way to enjoy the fruits of our labor than to devour them raw? And while I love me some Caprese salad, and especially a tomato-mayo-white bread sandwich, garden-fresh tomatoes are fabulous in pasta sauce. Raw pasta sauce. 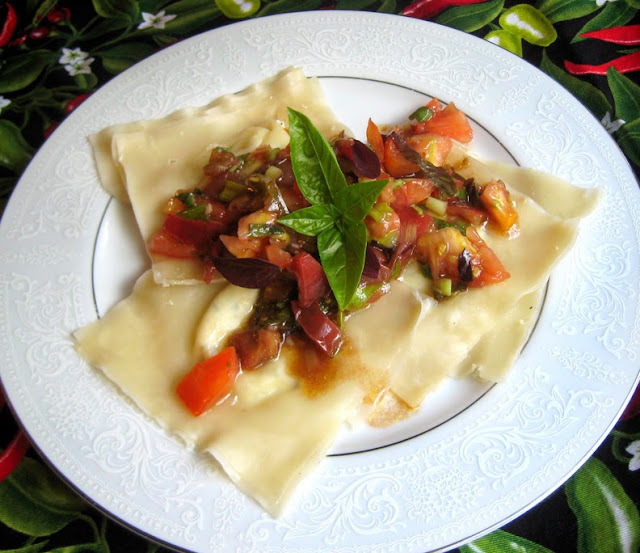 As for the ravioli--they are cheese-tastic. And as we had a bit of pesto left over from other endeavors, that went into the filling as well. 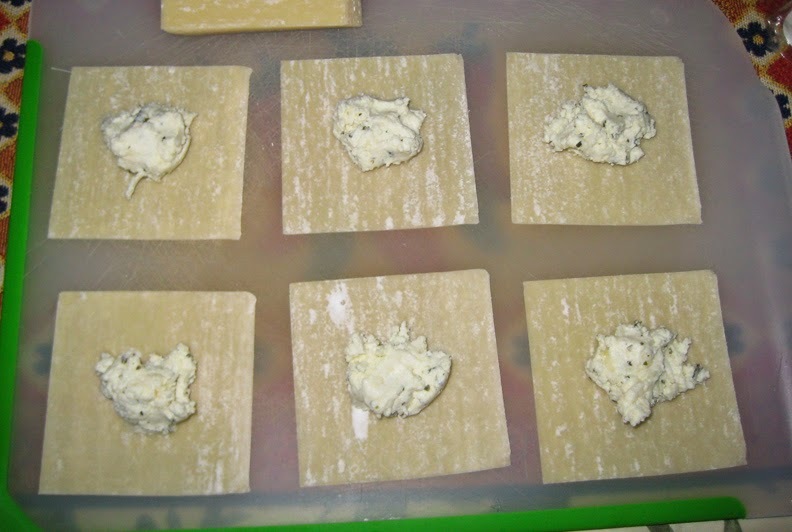 Won ton wrappers make a fine substitute for fresh pasta. We just don't have enough counter space for pasta-making, and certainly not enough patience to make both the pasta and assemble the ravioli. I don't know how those Italian nonnas did it. The combination of room-temperature sauce and warm pasta was quite summery and nice. And while the dish was light, the flavors were big and bold. Don't skip the garlic! To make ravioli: Combine filling ingredients in a bowl. Lay out several wrappers on a flat surface. Top each with a teaspoon of filling. Using your finger or a pastry brush, dampen the edges of the wrapper with water. (You can use an egg wash, if you prefer, but I find that water works fine.) Top with a second wrapper and press down to seal, making sure to eliminate any air bubbles. 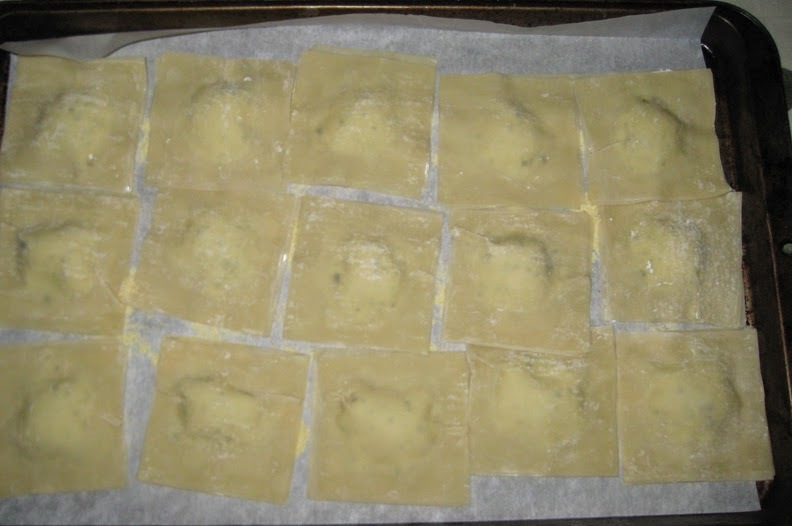 Place filled ravioli on a cornmeal-sprinkled baking sheet until you've completed all of them. You may only use half of the second package of wrappers. Cook 4-5 at a time in a large pot of boiling, salted, water, for 2 minutes. Do not overcook, otherwise they'll fall apart. Remove with a slotted spoon to an olive oil-coated baking sheet. 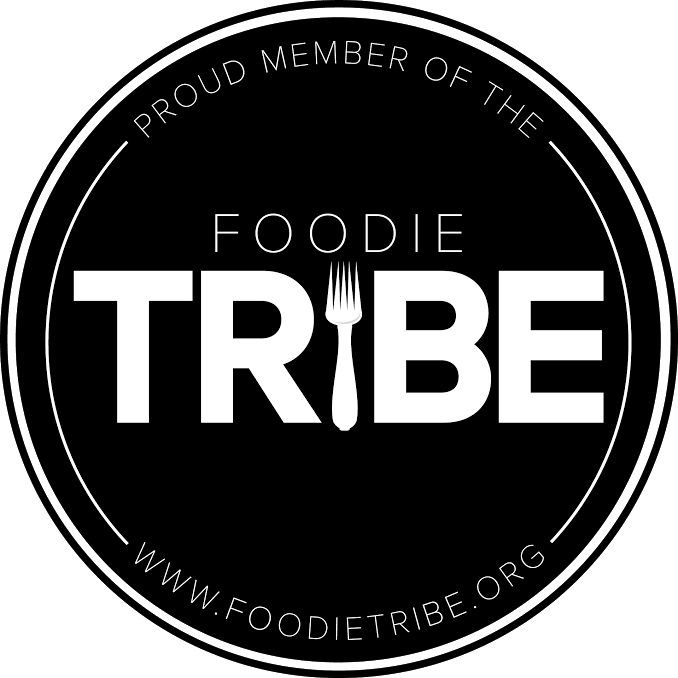 Try not to overlap; these buggers will stick together. To make sauce: Quarter and deseed tomatoes before dicing them. Make little stacks of the basil leaves, roll them and slice into ribbons. Combine all ingredients in a bowl. Season to taste. 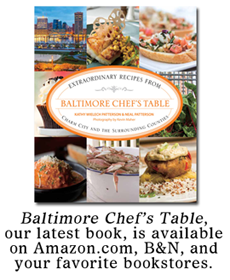 Allow to sit out on the counter for at least an hour so the flavors can meld. 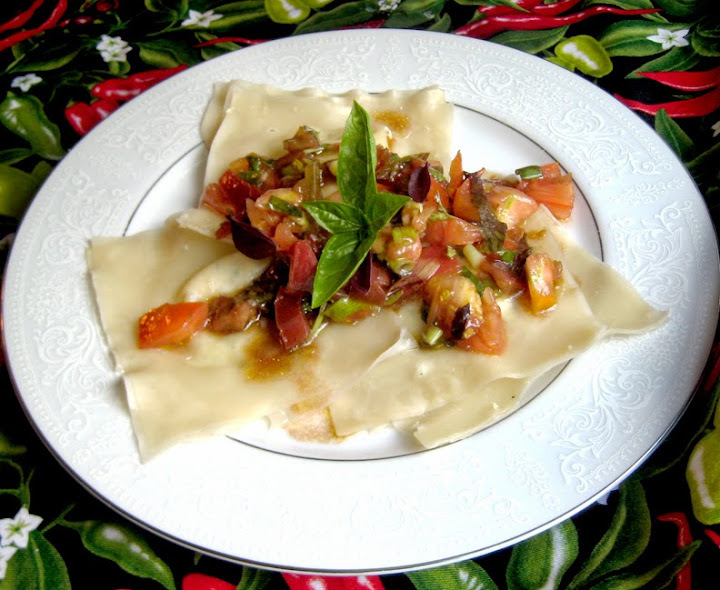 To serve: Place several ravioli on a plate and top with sauce. Garnish with basil.